So I bought my car already on coils.. It wasn't too low, I could fit my foot in the wheel gap on both sides, recently I lowered my rear coils and the wheel gap is the tips of my fingers, my wheels look like they're already cambered because they lean in a bit. I have yet to lower the front because I need the actual spanner for the coil for them. But I need some guidance. I'm on 17 inch wheels with some low profile tires that tuck in the back... I need some help! Sorry I meant to ask, how do I know if I have a camber kit? And what else do I need if I go a little lower in the front? Oops I thought I saw "how do I know if I NEED a camber kit", my B! 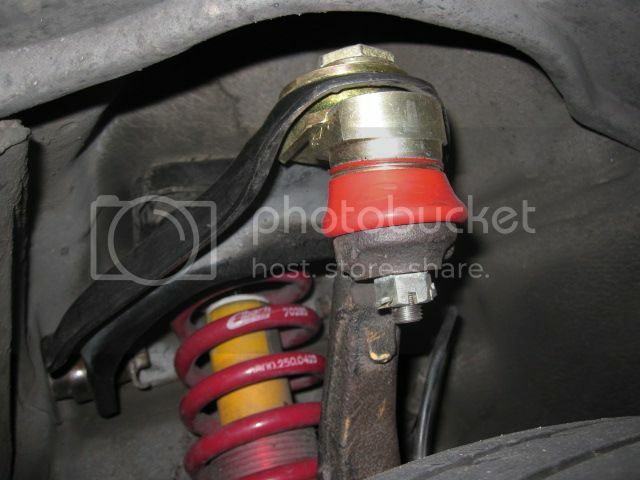 Easiest way to tell if you HAVE one.... take pics of where the upper control arm bolts to the body, and of the upper ball joints on the UCA, than post them here. Those are the two areas where a camber kit would be installed, if you have one. As long as your alignment is within reason, you can go as low as you want.